See below for our ranking of the top affordable bachelor's in healthcare administration degrees online. To calculate our ranking of the ten best undergraduate schools for healthcare administration online, we started at College Navigator, an online database run by the National Center for Education Statistics. Searching for online bachelor's degrees in Health Administration, Health Care Management, and related subjects at public and private non-profit schools, we were able to produce an initial list of qualifying programs. To further up the ante, we stipulated that eligible programs must have an annual tuition rate of no more than $25,000 and must have an average graduation rate (defined as 150% of "normal time", usually four years) of at least 30%. Even with these strict requirements, we still had a group of more than 40 schools from which to choose. We scored the remaining candidates on the two aforementioned factors (annual tuition rate and graduation rate) as well as their affiliation with CAHME, the Commission on Accreditation of Healthcare Management Education. Although CAHME's official accreditations are currently limited to master's programs, we used this metric as an indication of a college's dedication to its healthcare administration degrees at every level. In other words, this metric recognizes the best online schools for healthcare administration as the ones with affordable costs, successful students, and a commitment to curricular excellence. Based on a combination of these three factors, we gave each school a total score and adjusted it to match a 100 point scale, wherein the overall best performing college received a full 100 out of 100 points. Take a look for yourself – just scroll down! City College is one of just three schools in Florida to offer a bachelor's healthcare administration degree online. At City College in Fort Lauderdale, Florida, students can obtain a "generalist" healthcare management degree that is designed to provide a broad foundation of skills that will transfer to an equally broad range of careers. The online format allows for self-paced study but also provides numerous opportunities to interact with both faculty and fellow students. Coursework for this online healthcare administration degree touches on topics as diverse as accounting, epidemiology, and medical ethics and emphasizes the importance of essential skills, such as how to communicate complex ideas and how to implement improvement strategies in a healthcare facility. In addition to management and administrative classes, students in JSU's healthcare administration online bachelor's degree will also study epidemiology, medical terminology, and public health. 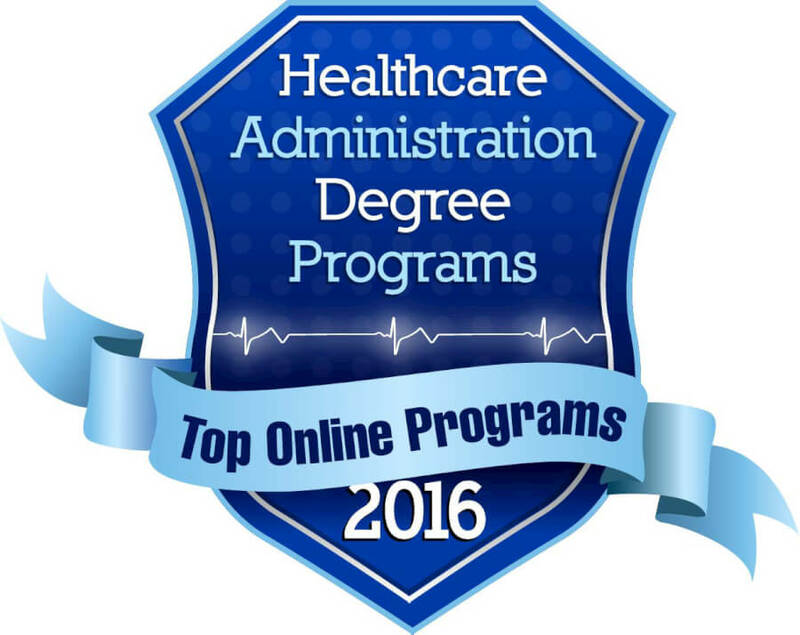 What does it take to be one of the best online schools for healthcare administration? For many students, the ideal degree program is one that can help them get their foot in the door of a promising career path, but will also continue to benefit them as they move up the corporate ladder. That's why Jackson State University has modeled its online B.S. in Healthcare Administration to fuel students' "long-term career growth," whether they envision a future at a hospital, government health agency, nursing home, or insurance company. But the biggest assets that JSU can offer will come in your final semester as an online student, when you complete an internship and participate in a career development seminar to prepare yourself for the real world of healthcare. At Park University, students in the business program can earn an online healthcare administration degree or select a healthcare management (HCM) minor. In many ways, Park University's healthcare administration degree online is just like any other traditional program of its kind. Students take a whole host of general elective classes as well as a solid core component in personal and community health, legal issues in healthcare, and healthcare delivery. But if you look closely at the course sheet, you'll notice that the curriculum leans heavily on general business classes, including Principles of Microeconomics, Human Resource Management, and Business Policy. After all, Park's online program is first and foremost a business administration degree, and in crafting a relatively general course list the university helps you cast the widest net possible when you start hunting for jobs. The University of Central Florida houses an accredited BS in healthcare administration online degree that requires students to maintain a minimum 2.75 GPA and complete an off-campus internship. Online Health Services Administration, B.S. If you have absolutely no experience in the healthcare industry, than the University of Central Florida is one of the best undergraduate schools for healthcare administration online to help you get the ball rolling. While most undergrad programs certainly don't require their students to gain relevant work experience first, UCF has taken special care to ensure that its curriculum can take you from blank slate to confident caretaker in just a few short years. The caliber of the coursework has even attracted the attention of the Association of University Programs in Health Administration (AUPHA), which fully certifies UCF's online track. In addition to online healthcare administration degree courses, Northwood University also has campuses scattered across Michigan, Texas, Kentucky, and a few other states. Northwood University isn't your average online college, but it is one of the best online schools for healthcare administration. Why? Because Northwood is a university entirely devoted to business and management education, and its core values – which tout belief in the advantages of free enterprise and the fundamental nature of ethics and integrity in business – make Northwood's priorities abundantly clear. Therefore, the Bachelor of Business Administration is one of the school's most popular degrees, and Health Care Management is just one of myriad specialty options. But if you want to learn the best, you should learn from the best, and Northwood U's curriculum of economics, finance, budgeting, marketing, and organizational behavior is here to get the job done. BYU Idaho's affordable BS in healthcare administration online degree provides a perfect foundation for entry-level careers or continued education in graduate school. Coming in at less than $4,000 a year, Brigham Young University's Idaho-based online HCA program is an absolute steal – and it's not even the cheapest school on this healthcare administration online bachelor's degree ranking! From Bio Stats to Health Economics, Epidemiology to Medical Law, BYU Idaho is intent on giving you your money's worth. The best part? With low – or possibly no – student debt upon graduation, you'll have confidence and stability on your side as you set forth into the job market as in search of work at doctor's offices, clinics, healthcare associations, consulting firms, and more. Not only is the State College of Florida one of the best undergraduate schools for healthcare administration online, but it grants automatic access to a top graduate program, too. By this point, you might be convinced that you've seen all that online colleges for healthcare administration have to offer. But there's at least one school left that's ready to surprise you. The State College of Florida has a BAS in Health Services Administration that covers both the theoretical and practical aspects of the field, from healthcare delivery to risk management to evidence-based research methods. And SCF's curriculum is particularly enticing for its unique elective courses, which include Biology of Aging, Dietary Influences on Disease, and Managing Cultural Diversity. But the real draw? SCF has partnered with the Lake Erie College of Medicine (LECOM) to offer you a direct path from your BAS to a Master's in Health Services Administration. UMC's 100% online healthcare administration degree includes 120 total credits and offers both fall and spring start dates. Right now, you might be focused on sending out applications to the best online schools for healthcare administration you can find. But the University of Minnesota at Crookston is already thinking well beyond your first day at school to your first day at your new job. UMC's practical curriculum combines general education coursework with health science, management, and technology classes to transform you into a triple-threat industry expert. As an added bonus, the Board of Examiners for Nursing Home Administrators (BENHA) has approved the B.S. in Health Management program. That means you'll be eligible to take national qualifying exams and become a nursing home administrator in the state after you graduate. Both the B.A. and B.S. 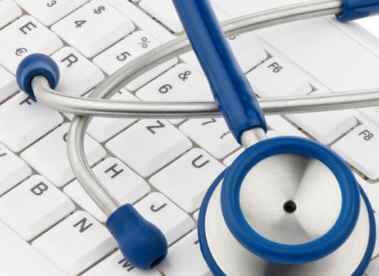 forms of this online healthcare administration degree are also available on regional campuses throughout the country. Positioned 2nd overall and first on our top online colleges for healthcare administration ranking, Columbia College has a lot going for it – and a lot to offer distance learners. It's also the only school included here that provides separate B.A. and B.S. tracks for healthcare management majors. In both cases, you'll officially earn a bachelor's in business administration, but not without receiving a hefty dose of training in the regulations and legal mandates, technological developments, and quality improvement methods that dominate healthcare today. And if you dream of being your own boss one day, Columbia College's Fishman Center for Entrepreneurship may be able to help you get started. Weber State's accredited healthcare administration degree online places an emphasis on teamwork, interpersonal skill development, and decision-making techniques. We've seen a lot of top online colleges for healthcare administration on this list already. So what makes Weber State University worthy of the coveted #1 spot? Strictly speaking, it's the university's reasonable tuition rates, decent graduation rates, and affiliation with the Commission on Accreditation of Healthcare Management Education (CAHME) – which currently only accredits graduate programs – that earned it an A+ grade. But there's plenty of other evidence that WSU students have a strong track record of success. Case and point: 85% of BSHSA students at Weber State receive an A- or higher from the preceptors at their internship sites. This concludes our ranking of the best undergraduate schools for a bachelor's healthcare administration online.